What an obnoxiously long name for an app… and fairly boastful too… From now on, it’s just Mercury or Mercury Browser to make things simple. So, the Mercury Browser is a free Internet browser in case you don’t fancy Safari anymore. 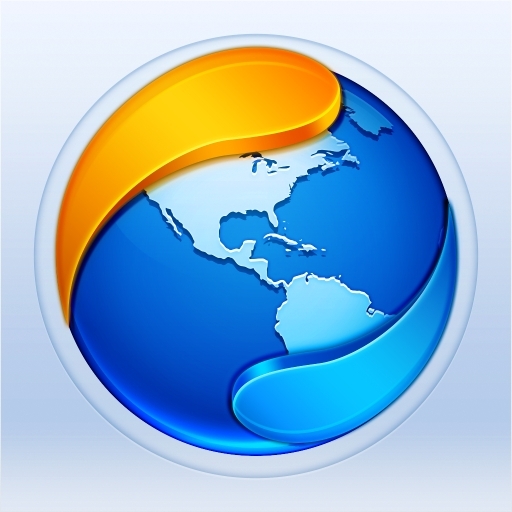 This browser certainly has a lot to set it apart from other browsers, but it still has room for improvement. Mercury is loaded with features. I recommend spending a few minutes after downloading the app to just explore, since there is no tutorial or instructional something to open your eyes. This app has a nice layout and looks pretty clean, however one might argue that it’s way too cluttered for a mobile browser. Problem solved: fullscreen mode. This allows you to load your site using almost every pixel on the screen, but it still keeps the essential buttons around (like back, reload, etc.) by making them clear-ish. The fullscreen is pretty good. Mercury also has a “reader” function that isn’t shabby either. You are allowed to tap this button on any page, and it clears all the junk, turning the website into just text and pictures. Problem is, this is not unique to Mercury, and they allow you to open the reader on websites where it’s not really compatible, causing all sorts of weird issues, maybe even including crashes. Mercury also features a private browsing mode, which doesn’t record your history, cookies, and other stuff. I happen to think that it’s too sensitive: every time you shut your screen or quickly switch apps via multitasking, all your private tabs are closed with no way of pulling them back up. Those are some features that aren’t unique to Mercury, but it does contain its own stuff. First, there are plenty of gestures to take advantage of to go back, forward, switch tabs, you name it. Some of these get so complex that the browser fails to recognize the gestures on a regular basis. Even the simple ones do not always work. I see a lot of potential there, but unfortunately it’s not great right now. Mercury also features an okay advertisement-blocker, a way to set a homepage, and a variety of themes to spice up the look of the browser. As you may have figured out from the not-so-terse app name, Mercury also features solid integration with Dropbox and it’s buddies, as well as a few social media sites. I almost forgot to mention one last feature that is excellent. Mercury remembers your passwords and even will autofill text-boxes for you. In summary, the Mercury Browser is certainly jam-packed with features, but they are not all polished off. Now that they’ve added these features, it would be nice to have all of them work properly, which most of them do. This app is a decent browser, but I think it tries a bit too hard to emulate all the functions of a desktop browser. There are reasons that mobile browsers don’t include every feature that their desktop counterparts do. Mercury has not figured that out yet. Nevertheless, some of the features are interesting to put on a mobile platform, and with a little work, maybe this could spark a revolution of full-on Internet browsers for smartphones everywhere. Until then, it’s a solid 7/10.